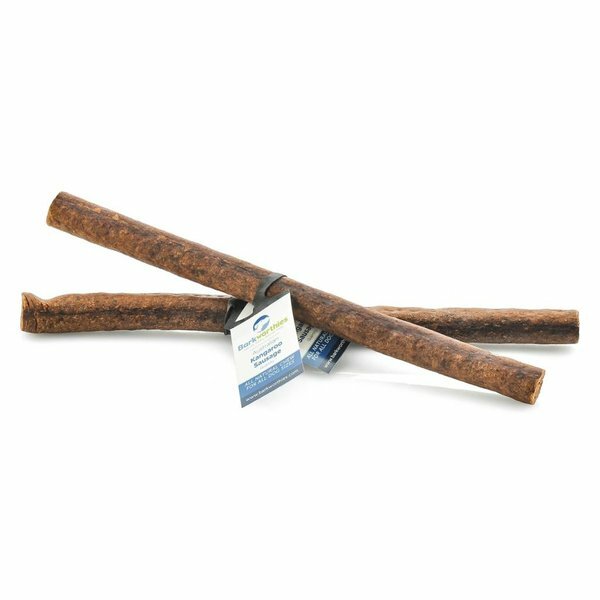 These all-natural sausages are also fully digestible, unlike rawhide and many other canine treats. They can be easy broken up for use as training aids or for rewarding smaller dogs. These delightfully chewy treats can be fed whole to larger dogs, too. Raised without added antibiotics or hormones, the meat we use to make these sausages is naturally high in protein and rich in iron, zinc, Vitamins B6 and B12. Since an exotic protein is the number one ingredient, they're great for canines who are better off with hypoallergenic foods.